In a statement posted on his Facebook, Faesal said, “I have an idea how I can do it but I want ideas from the people before taking a final decision. 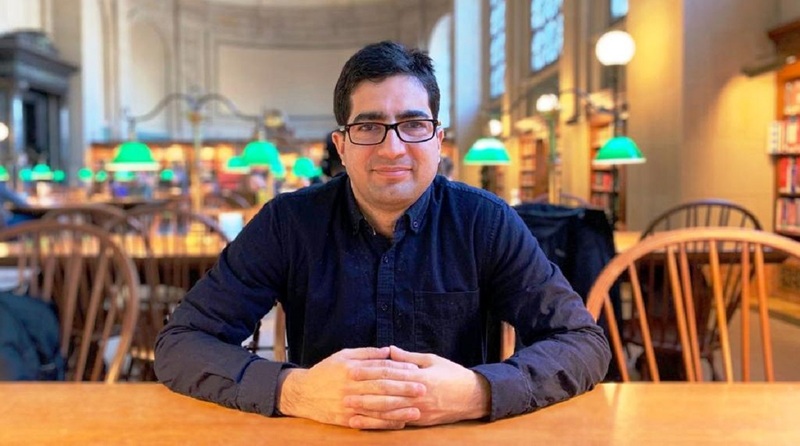 Kashmiri IAS officer Shah Faesal, who quit IAS to protest against unabated killings in Jammu and Kashmir, sought ideas on Thursday, especially from youths, to decide his future course in politics. “It has been a storm of abuse and adulation. Hundreds and thousands of people reacted to my resignation in hundreds and thousands of ways. I totally expected this. “As of now I have quit the service. What I am going to do hereafter also depends on what people of Kashmir want me to do. More so the youth. “I have an idea how I can do it. I am sure you have ideas too and you want me to factor those ideas in before I take a final decision. “If you are ready to come out of Facebook/Twitter and show up in Srinagar tomorrow (Friday), we could think this through together. “My choice of politics will be decided by real people, not fb (Facebook) likes and comments. Faesal, the first Kashmiri IAS topper, resigned from the civil service on Wednesday and said he planned to enter politics. Speculation was rife on Wednesday that he could join the National Conference.